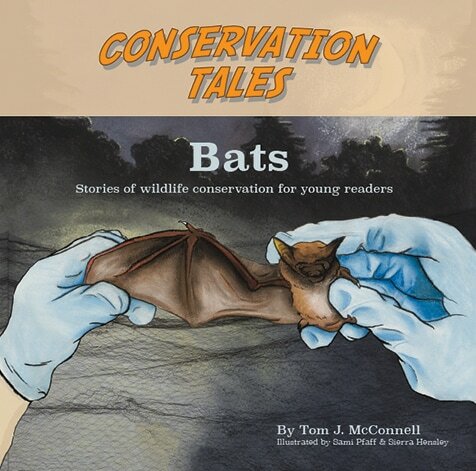 Teachers and students, you can practice some of the same science practices and processes as the scientists in the Conservation Tales books while you do science related to species in the stories. Use the links below to visit pages with citizen science and hands-on science activities! Teachers, see your copy of Conservation Tales for alignment with the Next Generation Science Standards. Help students read for comprehension! These Guided Reading materials will help readers look for important content in the stories. Includes both Teacher and Student guides. Here are two NEW coloring pages you can download and print for the kids! Each coloring page includes info about conservation of either songbirds or bats. These were produced by graphic designer Brooke Gabrek York in PDF format. Manatee Match is a card matching game that lets learners practice observation and identification skills using the same tool as manatee researchers in Florida! Download a Teacher Guide and Student Handout here, or order a set of Manatee Match cards!